Complete the scaffold provided by filling in the first column only with your ideas. Walk about the room and fill in the remaining cells with input from your peers. Record ideas from a different person for each empty cell. Share info such as Twitter ID, Skype ID, & email address to connect with each person as part of your PLN. When Tweeting anything related to the Stem Literacy Project, use #mostemlit. 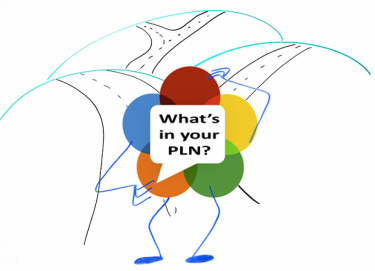 PLN is an acronym for Personal Learning Network. An educator builds his/her PLN based on professional interests and personal goals. What are characteristics you will look for as you determine who and/or what belongs in your PLN? How might your PLN impact professional growth? Where do I find sites to add to my PLN? Does Facebook Really Have a Place in the Classroom?